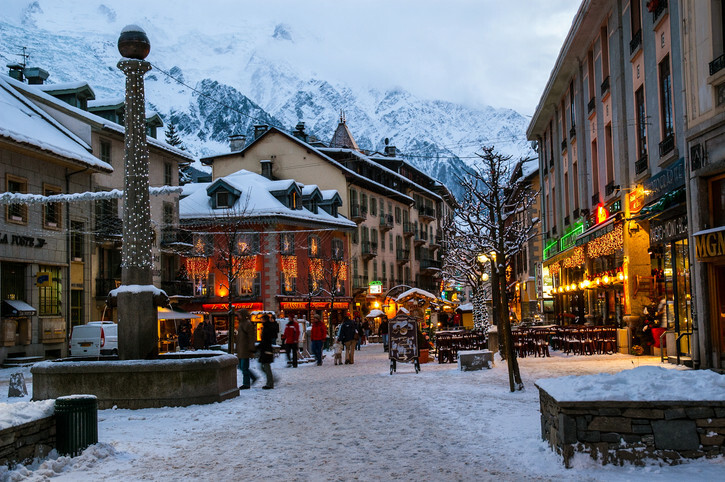 Chamonix, France town in winter, taken 2005. Ski lift soaring over tracks from skis and snowboards in Andorra. 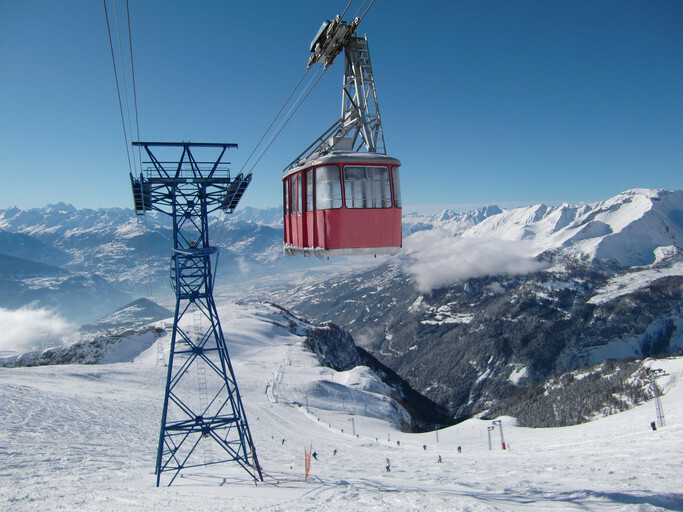 The ski station at Crans Montana, Switzerland. 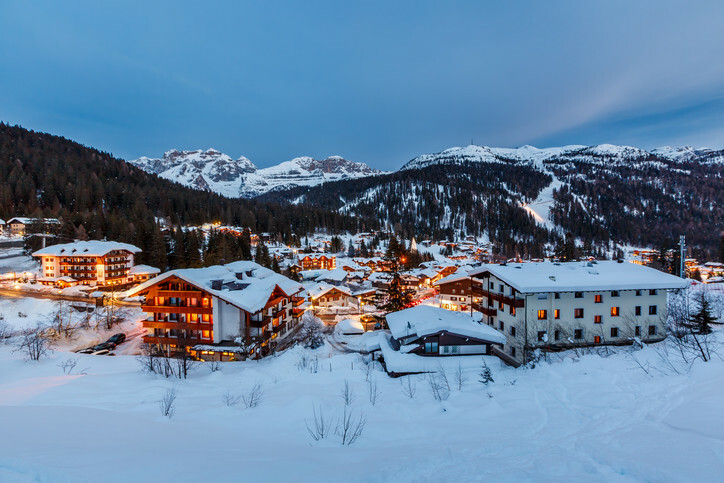 Illuminated ski resort of Madonna di Campiglio, Italian Alps. 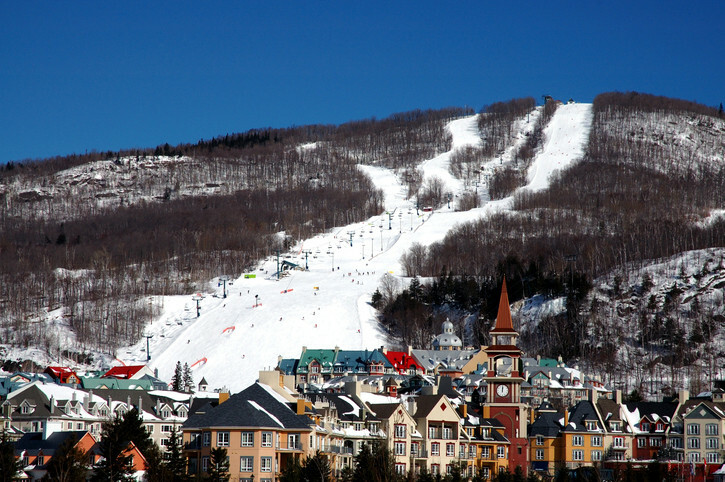 Ski slopes and village of Mont-Tremblant, Quebec, Canada. Slopes of Breckenridge, Colorado at dusk. Lodging, lift tickets, lessons and rental equipment all make ski holidays seem expensive, so we often avoid what could be the winter trip of a lifetime due to cost. Now, home exchange is here to help the family budget, and services like GuesttoGuest make it easy. In case you’re not familiar with them, GuestToGuest is the global leader in the home exchange market, representing more than 300,000 homes in 187 countries. Families can sign up on the site free of charge, list their own residence and willingness to swap, then stay everywhere in the world for free since the swaps work on a point system, and don’t have to be reciprocal. Picture saving money on a cozy home exchange in the Alps or the foothills of Colorado, while discovering the local culture of your hosts with the whole family, at one of the top six ski destinations recommended for home exchanges by GuestToGuest. Ah, Chamonix! This mythical ski town will charm you with its coziness. This bustling village is at the base of some of the best slopes in the world. If you are holidaying with the family you won’t be disappointed by the numerous activities offered and the huge variety of terrain for all skills and abilities. What’s more, it’s impossible to tear yourself away from the view of Mont Blanc that towers in the background of this quaint ski village. Cran Montana is probably one of the most prestigious ski resorts in Switzerland. Known for the high quality and diversity of its terrain, Crans Montana attracts families and celebrities alike. Enjoy the panoramic views of the Valais Alps while skiing down the 7.5-mile (12km) “National Slope.” Not much of a skier? Use the money you saved with a home exchange and go shopping in one of the largest shopping areas in the Alps. Looking for a ski trip off the beaten path; maybe a more exotic location? Check out Andorra. Located between France and Spain, in the Pyrenees mountains, is the independent principality of Andorra. 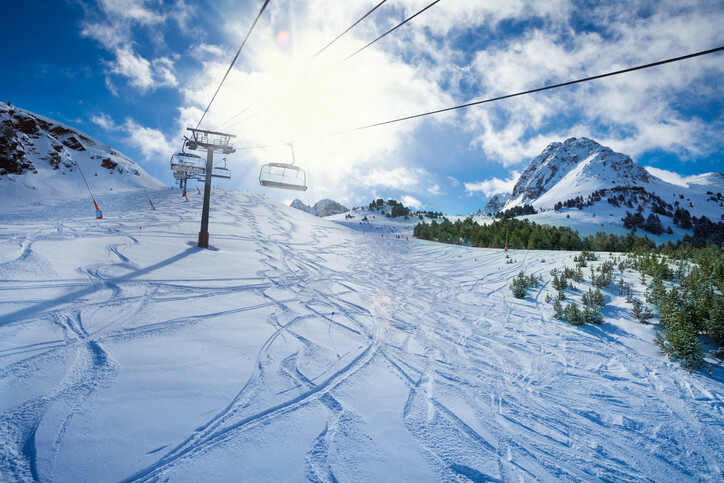 Home to one of the biggest ski resorts, in one of the smallest countries, Andorra offers a grand total of 173 runs at an elevation of around 5,610-8,661 feet (1,710-2,640 m), enough to satisfy any level skier. And while we may have already mentioned shopping in our previous selection, we can’t end this section on Andorra without mentioning the duty-free shopping. This region bordering Switzerland and Austria is famed for the beauty of its mountains. If there’s one unmissable sight, it’s the Dolomites. Listed as a UNESCO World Heritage Site, Trentino-Alto Adige is a paradise for the outdoors person and mountain lover. If you are coming to Italy this winter, feel free to head on up north and check out the slopes. Situated just a short 1.5-hour drive north of Montreal is the famous Mont-Tremblant. Mont-Tremblant rises to an elevation of 2,870 feet (875 m), but what it lacks in size compared to many European destinations, it makes up for in nature activities and tourist attractions. So, if you’re not a skier, enjoy the pedestrian village that looks as though it were imported directly from the Alps in Europe – or enjoy the hiking, fishing, and other outdoor activities. 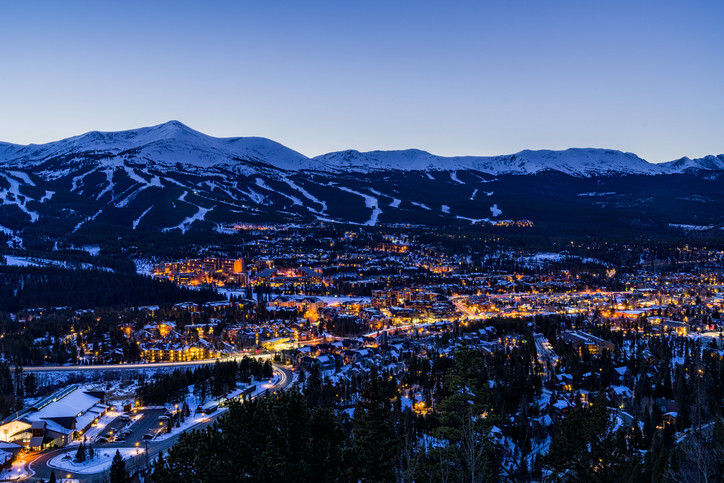 Most likely one of the top visited ski resorts in the western United States, Breckenridge is the place to be in the US if you love skiing. With a summit elevation of nearly 13,200 feet (4,000 m) and 187 trails, it will be a long time before you get bored on this trip. Opened in the 1960s, Breckenridge is also a great place for the casual winter traveler. The nightlife, dining, spas, shopping and old Wild West feel, is a great fit for any family. Of course, GuesttoGuest offers home exchanges all over the world so you can take your family to these mountain ski destinations and dozens of others without blowing your travel budget. Nothing is more beautiful than Europe. Would definitely travel to Europe one day. I want to know how much cost the whole trip can be required to visit this destination. I would like to specific answer on thanks in advance.